Alan Carson, Sales Director talks about prospects for the coming year. 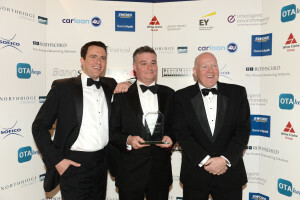 (London 24th April 2015) Northridge Finance is celebrating after its Joint Venture offering was named Best Finance Product at the Motor Finance Europe Awards in Munich last night. James McGee, Managing Director of NIIB and Northridge Finance, was on hand to collect the award at the event after judges decided the Joint Venture product was an industry leading offering. 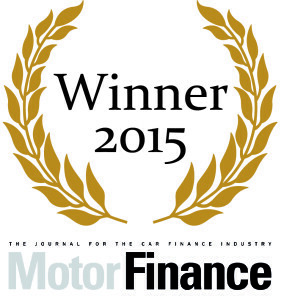 The company was also among the finalists in the Independent Finance provider of the year category. As a key part of Northridge Finance’s product portfolio, Joint Venture is essentially a shared risk and reward arrangement with quality Motor Dealer groups. The concept was established almost 20 years ago with a small number of dealer groups in Northern Ireland, and has since grown in popularity to the extent that it now accounts for almost 20% of annual new business-lending across the UK for Northridge. Joint Venture is unique in the way it is relationship led, transparent and very much a long-term arrangement which offers stability to dealer partners. It has created incremental finance penetration on the forecourt and a valuable income stream for Northridge partners. Judges at the awards also recognised the benefits to end customers – who enjoy market-leading interest rates and cheaper repayments on their credit deals, leading to good customer outcomes. “We are delighted that our Joint Venture product has received wider profile through this prestigious award. We want more of the Motor Dealer network to hear about our Joint Venture and discover how it can improve their business”.